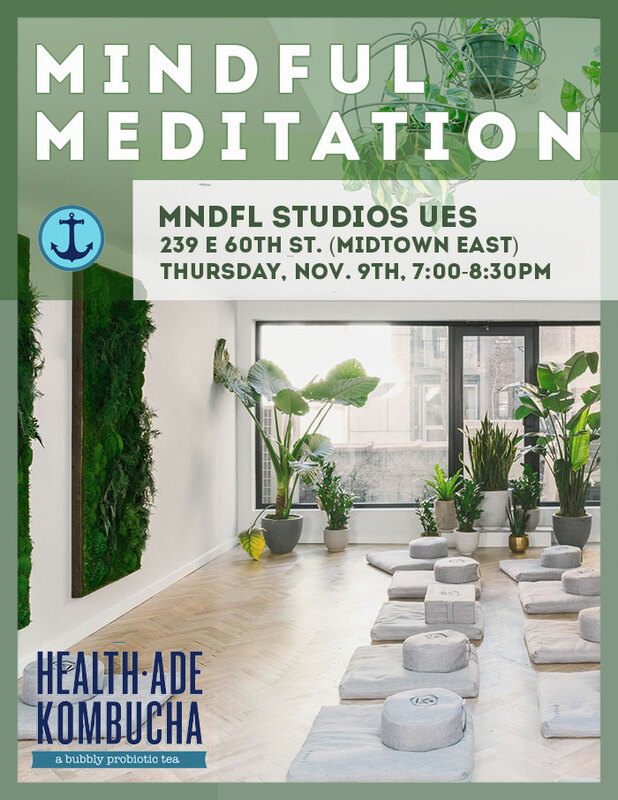 When : Nov. 9, 2017, 7 p.m. Where: 239 E 60th St.
Join fellow Members and their guests on Thursday, November 9th, for a grounding, complimentary, meditation session at MNDFL - New York's premier meditation studio, located at 239 E 60th Street. Our session will begin with a 30-minute meet and greet, starting at 7 pm, followed by 30 minutes of expertly guided meditation, and closing with a final 30 minutes of relaxed mingling, as we enjoy complimentary kombucha, and calm, centered vibes. Come learn a little, relax a little, and perhaps try something new at this intimate session. No experience is required, although the class should be fit for all levels of practice. Breath session - Learn to focus on your breathing in order to become more present. In some classes, we work with the breath in a way that allows you to be more calm, and in others, in a way that is energizing. MNDFL’s signature meditation class, this practice grounds you in the here and now like a cold shower on a hot summer day.